Under current anti-trust law - and its historic precedents - Amazon does not cross established threshholds the way AT&T once did, as many thought Microsoft did with Windows and as a growing number believe Facebook and Google do with advertising and search. President Donald Trump’s tweets against Amazon.com Inc.have renewed investor concerns about the prospect of antitrust action being brought against the online retail giant. But targeting Amazon on anticompetition grounds would be difficult, requiring an overturn of the principles that have guided U.S. antitrust enforcement for decades, policy experts say. Mr. Trump on Twitter blasted Amazon over its business practices and economic impact, saying the company should pay more in taxes and is “putting many thousands of retailers out of business.” The president’s tweets followed a report Wednesday from online news site Axios stating Mr. Trump was looking at more strictly regulating Amazon through antitrust law, sending the company’s stock down more than 4%. 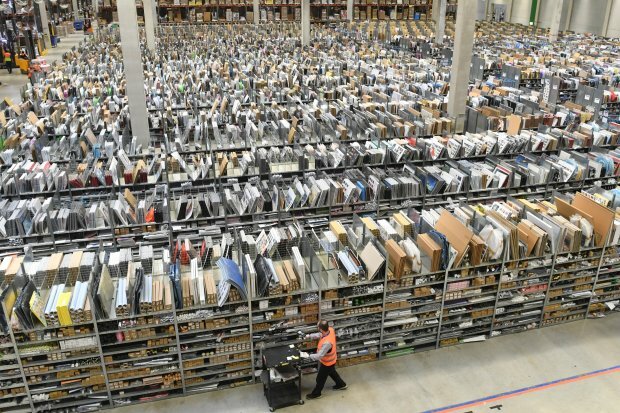 Amazon’s rapid growth over more than two decades from an online bookseller to a $178 billion retailer that also has a cloud-computing business, a Hollywood studio, a device business and a grocery store chain has prompted Mr. Trump and some policy experts to question how big is too big. Current regulations typically only kick into effect when a company is dominant in one market or is hurting consumers—neither of which experts think currently apply to Amazon. While Amazon has about 43% of the U.S. e-commerce market, it is still less than 4% of total U.S. retail, according to eMarketer. Some people in the business community, including those who know Mr. Trump well, have said that antitrust law has failed its historical purpose when it comes to Amazon, focusing too much on pricing and not enough on concerns that integrated businesses can be anticompetitive, people familiar with the matter have said. In particular, some of those who worried about Amazon’s reach have circulated a January 2017 article in Yale Law Journal, “Amazon’s Antitrust Paradox,” by Lina M. Khan that maps out how to restructure antitrust enforcement. Her basic argument is that antitrust framework has moved from looking at market structure to consumer welfare, something that has led Amazon to escape scrutiny so far. She lays out an argument that if Amazon is practicing predatory pricing in various markets, that can squeeze competition even if it is good for consumers. She argues that restoring an approach that examines Amazon’s power across markets, rather than its impact on consumers, would more adequately address the tech giant’s power. Ms. Khan and other researchers have recently triggered some debate about antitrust regulation in the policy and academic community, says A. Douglas Melamed, a law professor at Stanford University and previous acting assistant attorney general in charge of the antitrust division at the U.S. Justice Department during the Clinton administration. But many of the theories are too general and operate on potentially problematic and unproven premises. If Mr. Trump did decide to pursue any new regulations, he would either have to push a law through a Republican Congress that is unlikely to be receptive to more regulation or involve the Justice Department and other regulators to bring a case before the courts, Mr. Melamed said. “It’s a huge amount of work, with a very dubious pay off,” he adds. The Justice Department has no active antitrust investigations of Amazon, according to people familiar with the matter. Amazon declined to comment. The company has said it collects sales taxes on its own inventory in all 45 states that have such a tax and has voluntarily started collecting taxes in some municipalities. In an interview last year, retail chief Jeff Wilke pointed to the company’s “diverse and horizontally large set of businesses” and the incredible competition it faces in each industry. 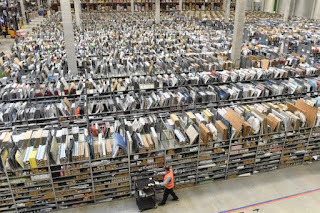 Many experts think it is unlikely Amazon will face increased regulation for just those reasons. And not all investors are worried.